Kings XI Punjab's chase of 151 with one ball to spare saw them move to third on the IPL points table. 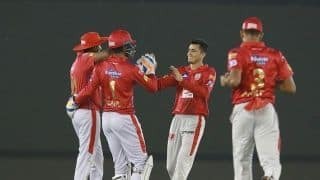 Dew was the talking point after Kings XI Punjab‘s penultimate-ball win over Sunrisers Hyderabad in Mohali on Sunday, with the losing captain Bhuvneshwar Kumar admitting that the despite the conditions he was pleased with how his team bowled when defending a total of 150. 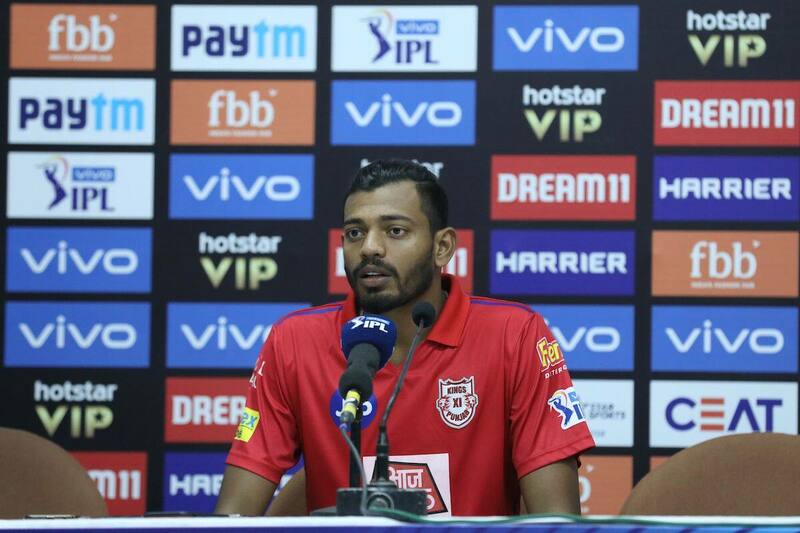 Sandeep Sharma, a member of Hyderabad’s bowling unit, also spoke of the difficulty in keeping the ball dry in the second half of the match. 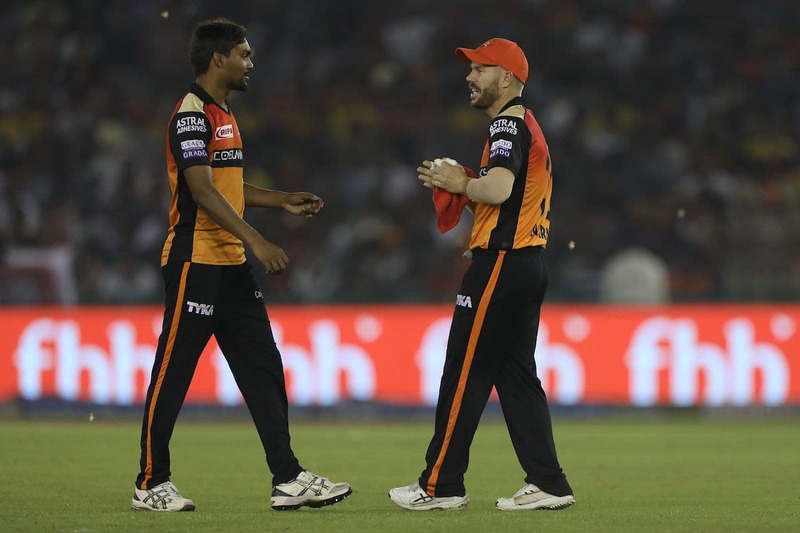 Hyderabad were kept quiet during the first ten overs of their innings, after R Ashwin put them in to bat, reaching 50/1 with David Warner limited to one boundary. Though Warner accelerated and helped Hyderabad score 100 from the next ten overs, the dew factor in Mohali helped Punjab complete their chase. Warner batted all 20 overs to finish not out on 70, but once again Hyderabad were let down by their middle order. Ankit Rajpoot had a say in keeping quiet, as he bowled his four overs for just 21 runs while keeping Warner tied down with his cutters and short-of-a-length deliveries. 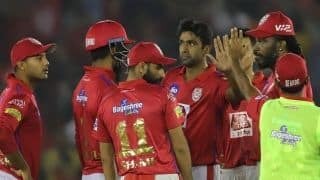 Ashwin said that the inclusion of Rajpoot and Mujeeb Ur Rahman – who dismissed Bairstow in the second over – was based on the “opposition and the conditions”. Rajpoot vindicated the decision with a fine display of pace bowling. Hyderabad, who have lost two games in a row to slip to fourth place on the IPL points table, have a five-day gap before they play two games at home.